Zines are small run do-it-yourself publications. There is an excellent entry on Wikipedia if you would like to know more about them. Mine are small run indeed. This is my personal zine/art zine with content pulled from my notebooks, sketchbooks, photo archives, paintings and prints. The first three issues were published under the title, A Long Way Down . I abandon that title as it is taken by a novel. 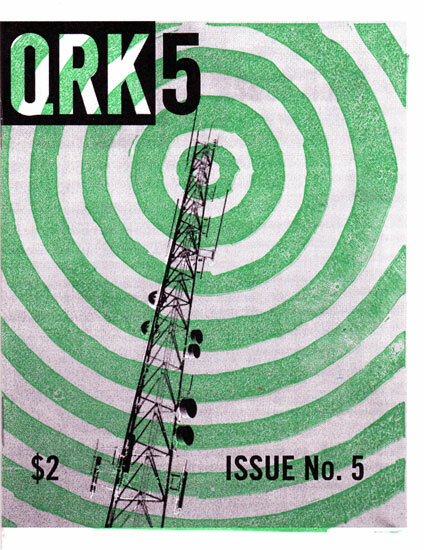 From the forth issue I switched to QRK5 , which is morse code shorthand for we read you loud and clear. I publish and edit this zine about making, viewing and collecting fine art. Articals and illustrations for each issue are created by artist, curators and collectors from around the world. a catalog of my instant film photography images — both Polaroid and Impossible Project. It also includes text about how I started shooting instant film and a forward by Mike Landers. A mini zine of photographs from my iPhone. Sometimes I contribute articles to zines I don't publish myself.